CM units are designed specially for small and medium air conditioning systems for commercial and residential applications such as houses, stores, shops, restaurants, commercial complexes, offices, laboratories, theaters, showrooms, etc. The units are designed to be easily installed and maintained. 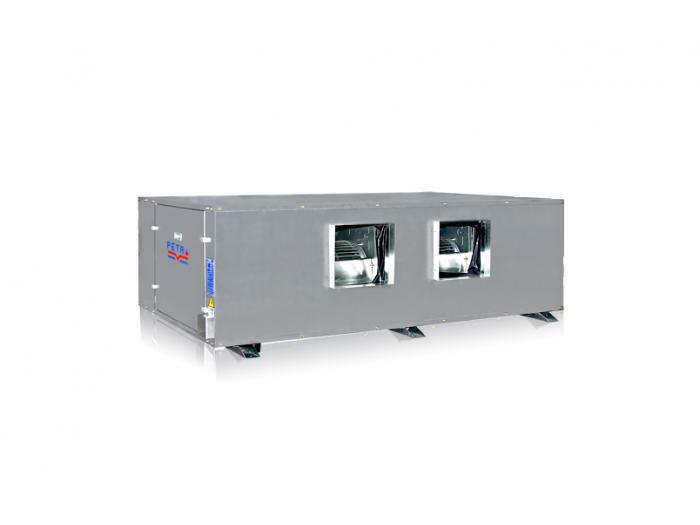 These units may be used for cooling and/or heating and are designed for concealed ceiling installation above false ceiling with ducted supply and return air distribution or ducted supply and free return. The units in this series consist of a coil, a fan-motor assembly, and a flat filter. • Various types of filters are available including flat, synthetic, pleated, bag, V-type, etc.